Save the date for the Conservancy’s Annual Spring Block Party & Plant Sale taking place on Saturday, May 6 from 10am-4pm! The event will feature lots of free activities including informative gardening and cooking demos, crafts and activities for kids, community organizations, and our Youth Farm Stand featuring fresh, locally grown produce from the Conservancy’s farms in Newark, at very reasonable and affordable prices. 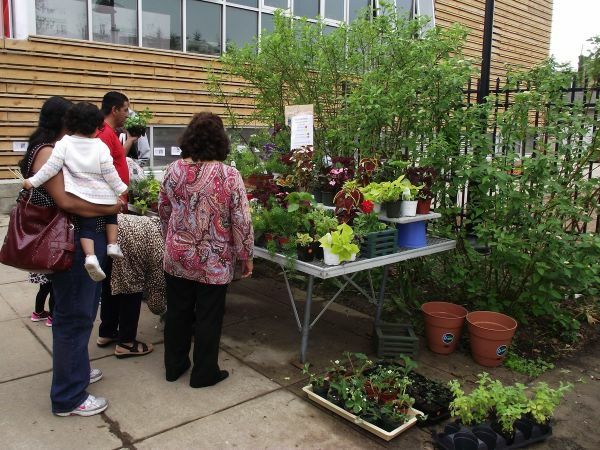 Also at the Spring Block Party–the Conservancy’s largest and most popular plant sale. There will a large selection of seasonal plants and flowers in pots and for planting, and a huge variety of vegetables for sale–everything you need to get your garden started.